Largest ever Marintec China 2013 hits New Records over 1,700 exhibiting companies and attracted 13% more trade visitors Hong Kong – December 23, 2013—Marintec China 2013, organized by UBM Asia and the Shanghai Society of Naval Architects and Ocean Engineers, was a tremendous success over the four days of the show from December 3-6, 2013. With the theme of “Green Technology, Transformation, Breakthrough”, the Senior Maritime Forum ran in conjunction with the exhibition. 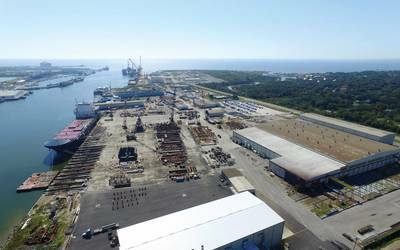 The Forum provided an in-depth discussion on the topics it had covered, which included Shipping and Ports, Shipbuilding, Ocean Engineering and Marine Finance. The Forum attracted a lot of attendees who gained insightful information from renowned and high-level speakers from the Chinese government and Chinese companies, as well as from wellestablished overseas associations, companies and organisations. It also served as an ideal platform for the industry participants to exchange market news and learn from each other. 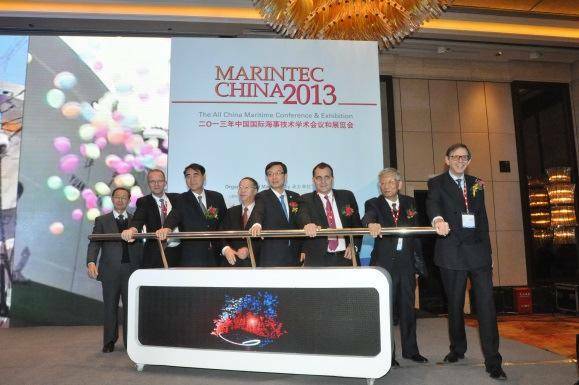 Once again, Marintec China has proven to be the definitive maritime trade show in Asia. International exhibitors have seen that this is the most effective gateway for entering the Asian maritime industry. 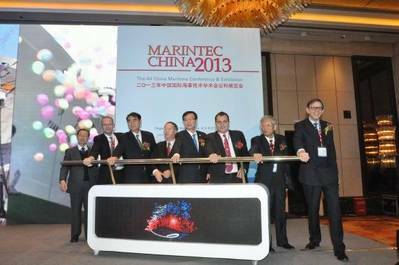 Already, there is a high response rate as exhibitors submitted their re-booking forms for Marintec China 2015, which will be held on December 1-4, 2015 at the Shanghai New International Expo Center.